Overview: A flat, sunny hike along a restored tidal wetland in Redwood City. Distance: There are a few options: For a short walk, you can walk a 0.6 mile loop from the entrance to the first observation deck. If you are up for a longer hike, it’s a 3.4 round-trip stroll to the Middle Bair Island observation deck. Getting there: From Highway 101, take the Whipple Avenue exit heading east. Follow the road as it curves sharply to the right and becomes East Bayshore Road. Continue straight, and make a sharp left turn as the road becomes Bair Island Road. Just before The Villas apartment complex, turn right at the sign for the wildlife refuge and park in the lot. Backtrack on foot across Bair Island Road to reach the main trailhead to the right. The interpretive signs along this trail are worth the stop. 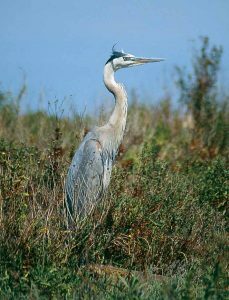 Take a minute and learn about the history of this land, how it helps clean our water, control flooding and slow climate change. Living and working in a city, it can be easy to think that you have to make a long trip to get outside and away from it all. I’ve often thought about taking a quick hike in the morning or evening after work and then forgotten about it because I didn’t want to sit in traffic or pack for a long hike. That’s why I was so excited when I made it out to Bair Island a few weeks ago. It’s just off of US-101 and within a few minutes of parking my car, my feet were on a dirt trail and there was a flock of white pelicans flying overhead. It is also a good ‘starter trail’ for young kids, as there are many interpretative signs and wide, flat trails that are good for toddler feet and strollers. 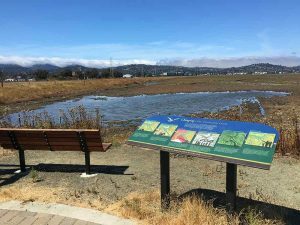 The two observational decks let you look out over a restored marsh all the way over the Bay to Mount Diablo. 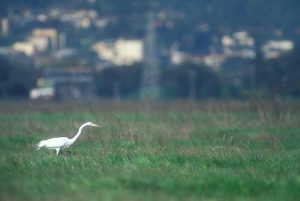 In just one trip, I saw a dozen egrets, two herons, rabbits and some stilts. The trail is pretty exposed, but early in the morning or just before the park closes at sunset is a great time to go for a quick walk with some binoculars and a warm drink in hand. I’d recommend hiking out to the second observational platform. It’s a longer walk (1.6 miles one way), but the trail takes you right out to the center of the marsh and away from the sounds of the highway. 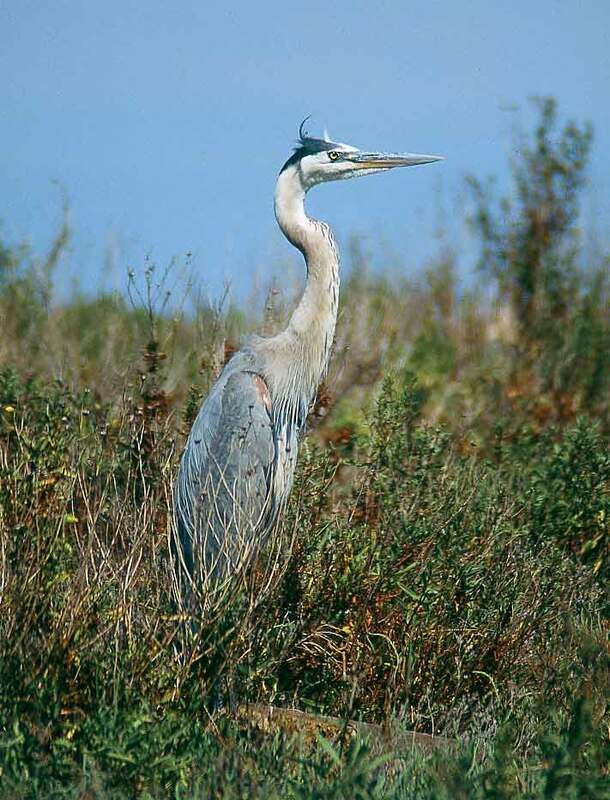 Keep an eye out for endangered California clapper rails and salt marsh harvest mice, and look for fish, rays and sharks in the sloughs in the outer reaches of the island. Conservationists had tried to save Bair Island from development for more than 30 years when POST succeeded in acquiring 1,623 acres here in 1997. Since 1998, the entire area has been managed by the U.S. Fish and Wildlife Service.